We are engaged in offering a quality range of Dual Head Inserts, which is manufactured using high grade raw material. Precision engineered, these heads are known for their durability and dimensional accuracy. We offer our range in numerous sizes and finishes as per the client’s specific needs. - The raw material can be offered in various grades as per DIN, BS 2874, CA 104, NES 833 Part 2 & ASTM standard also. We bring forth a superlative range of Brass Fasteners, which includes bolts, hex nuts, large screws and washers with different heads. Furthermore, with the use of quality tested brass enhances accuracy to make the industrial fasteners ideal for the metallic & wooden surfaces, to which they are supposed to mount on. Manufacturer, Exporter & Supplier of Brass Fasteners. We are able to provide a large usage of this industry in the mechanism of the procurement. We are able to provide a large Brass Inserts of Ultrasonic Range We provide a large production facility for the brass inserts that is able to provide a wide variety of the brass inserts. Thus, our team is able to provide a large storage for corrosion free storage. We are manufacturer and supplier of a variety of Fasteners Nut for Automobile Industries. Our product range also comprises of automotive parts, industrial bolts and fastener nuts. Product : Brass Fasteners range from normal bolts to Hex Nuts and Washers. They are quite handy in many applications in the industry. Bolts, Hex Nuts and Washers come in various gauges, dimensions and thickness that required by the consumers. 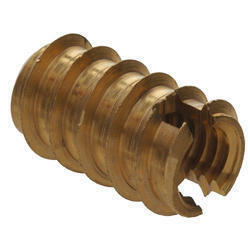 We are manufacturer and exporter of a wide range of brass screws fasteners, which is available in quality finish. Our range is offered in different sizes as per client's requirements. 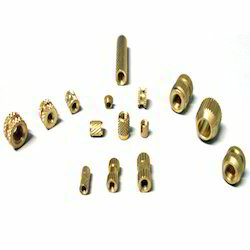 Sanghani Metals offers all types of Brass Nuts, Bolts and Washers as per custom specifications. Brass washers provide longer working life due to the usage of superior quality raw material.